Makenzie and I went on a little adventure to the hospital last night. She went to bed at about 6:30pm and woke up about 8:00pm throwing up! I tried several times to restart her feeds and each time with in 15 min or so she was throwing up again. I called GI and they suggested that I run clear fluids for the night and get in to see them in the morning. So we planned on doing just that..... until she threw up the pedialite too! I decided at about 12:30am to call her pediatrician. (sorry Joe) Even though they do not specialize in GI it is always comforting to talk to some one that knows Makenzie! When you call Children's the doctor on call it is usually one that has never seen your kid! I told him what they had said and he suggested that I wait a couple of hours and then restart the fluids. He also told me to go in to the ER if I was worried enough. So we waited... that lasted about 30 min before she began to dry heave. That was it! I had to take her in! We got to Children's about 1:30am. I came toting 2 back packs and her pump. I have become a pro at the hospital and never go with out clothes, diapers, all of her meds for several days, formula, extra pump bags, phone charger, pump charger, and of course the computer! I don't ever go camping... lol! They got us right back into a room and took a medical history and list of her symptoms. Of course I had to mention stem cells. As much as I didn't want to because most doctors think I am crazy I knew that I wouldn't feel like we had addressed every possible cause if I didn't! The ER doctor contacted GI and Hepatology. GI wanted an x-ray of her stomach to check her J tube placement. It was in the right place. Then she came back with questions about the Stem cells from Hepatology and they said that from a rejection standpoint that they didn't think that was what was going on. Alright... 4 hours later after Makenzie needed me to lay with her I am up from my "nap". Oh I feel another long night coming upon me! They gave her some Zofran which is supposed to stop vomiting and it worked! They moved us to a more comfy room around 4:30m and Makenzie finally fell asleep. She slept off and on until about 8am with a fever and diareah. GI came in and looked at her. Listened to her belly and told me they were pretty sure with all of the symptoms that it was a stomach bug. We worked on getting her to tolerate a high enough rate to keep hydrated, gave her some more Zofran and Tylenol and we left feeling a bit better around 1:30pm! 12 hours! Not to bad! LOL! As soon as we got home I put Makenzie to bed and she fell right off to dream land. She slept quite restlessly until about 4 hours ago when I went up there! She is still sleeping!!!! Please pray she just sleeps all night!!! Zach started his middle school transition today!!! That is somewhat of a miracle story in itself! We went to the skate shop yesterday to fix a bearing and got to talking with the lady that owns the shop. It turns out her son is starting the 6Th grade as well!!! At the same school. Also going to the transition session! I jokingly asked if she would take him and she replied "yes". Little did I know that my joke would turn into another miracle as it would have been really hard to get him there without help!!!! THANK YOU SO MUCH!!! There is so much more I could say about this skate shop but I will save it for tomorrow as I am need to get to lots of stuff around her so that I can hopefully go back to bed soon!!! Look for it! It is another amazing story in our families life! We are so blessed!!! Please pray for healing! 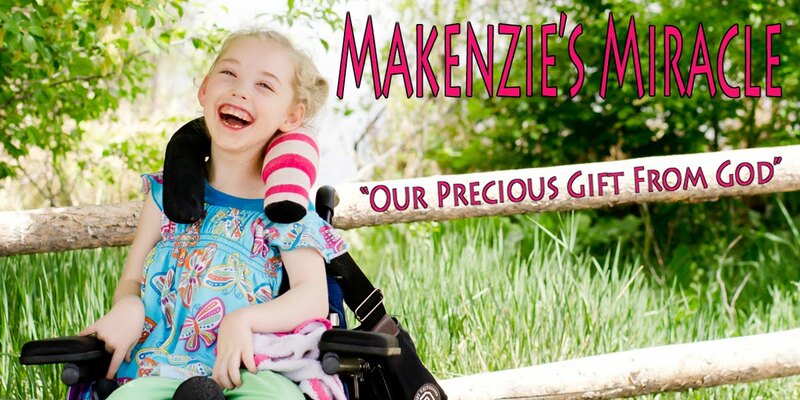 Pray that Makenzie gets lots of rest and wakes up feeling MUCH better in the morning! Pray that she isn't up ALL night! Pray that the rest of our family doesn't get this bug!! PRAY!!! !